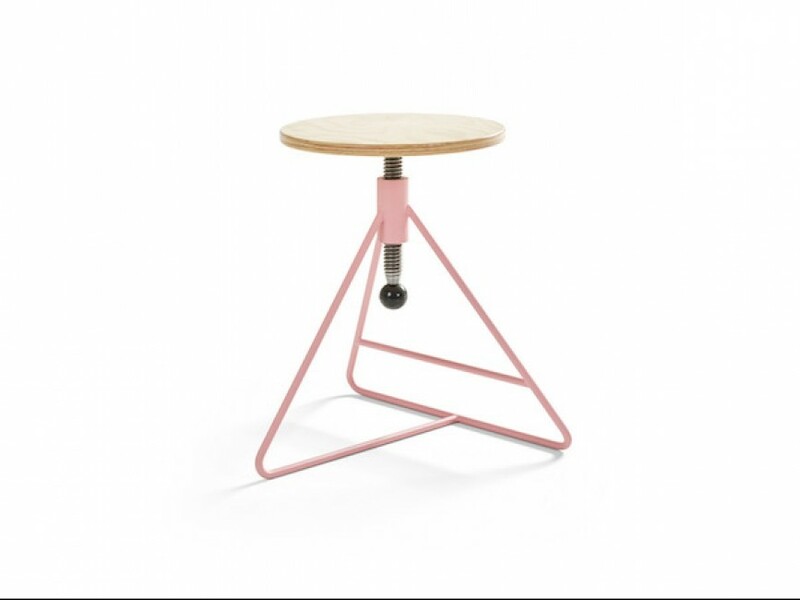 The Spinner is a height adjustable stool. The Spinner is based on the shape of a triangle. 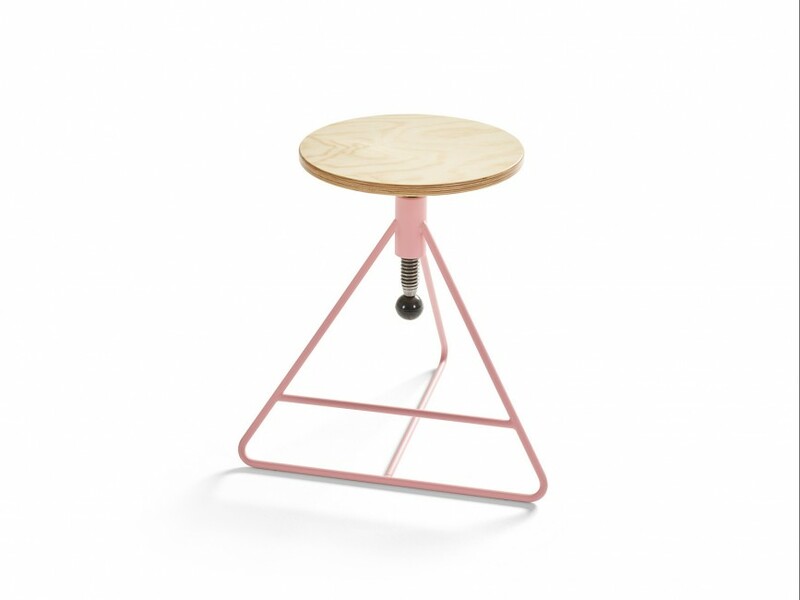 Ergonomics is still an important aspect though; the stool has to be comfortable to sit on. The height of the seat is therefore easy to adjust, which increases the sitting comfort. 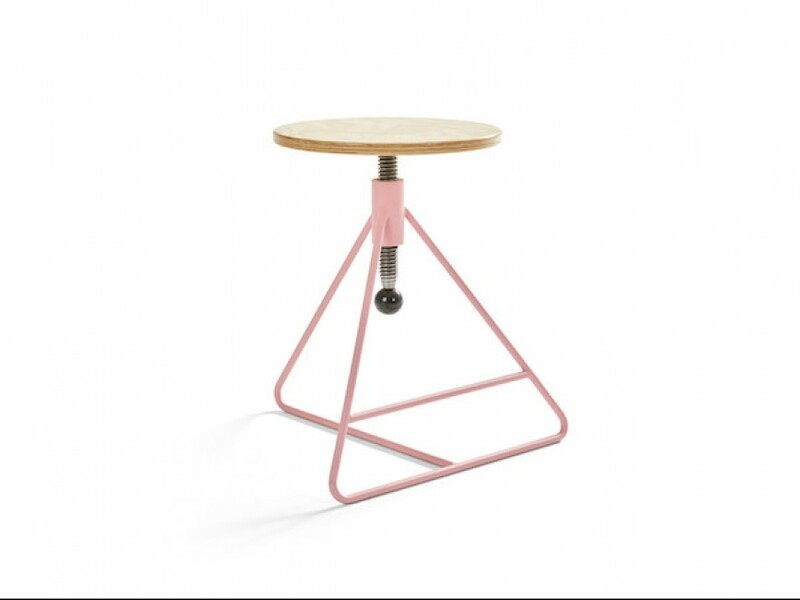 The fact that the stool can be adjusted in height makes it ideal for all types of rooms and target groups: young, old, formal and informal.Height adjustable base in massive steel. Available in all standard powdercoating colours. Spindle: electrolytic galvanized steel. Stud: black PA plastic. Standard without gliders. As option possible with plastic gliders or plastic felt gliders.Seat: 18mm pinewood multiplex stained. If no standard stain colour is indicated, standard delivery in B20 (transparent lacquered).